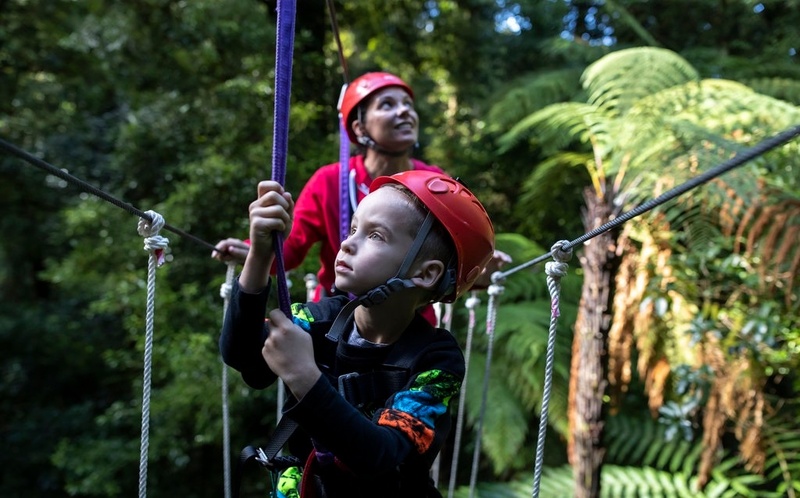 Even if you are a little bit scared of heights (I am not so fond of heights myself), you’ll love a forest canopy tour in Rotorua. There are plenty of things you can do to help get you through. The only way that you will get over a fear of heights is by tackling it head on. The more time you spend up in the forest canopy, the more at ease you will feel. 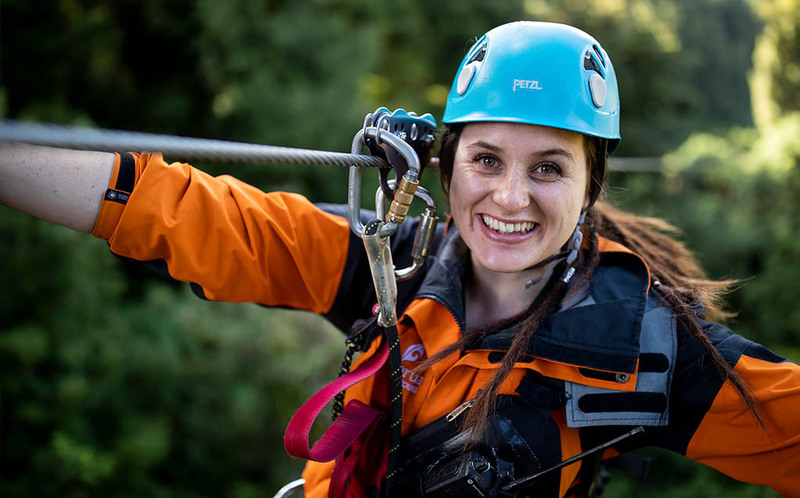 Our guides are there to help so tell them you have a few nerves and they will talk you through everything and make you feel at ease, and even lend a hand wherever you need. 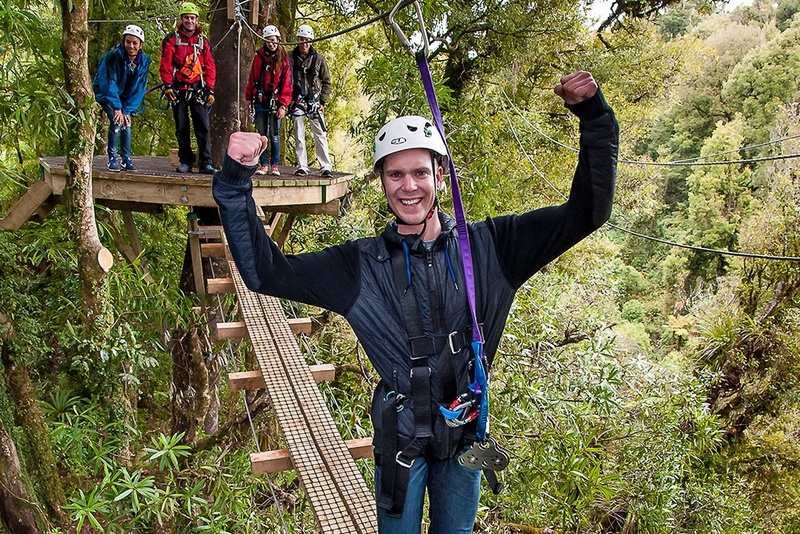 Photo: You will feel AMAZING after completing the tour - fear conquered! The best way to get over your fear is not to wait too long for your turn. Watch someone else go, then go yourself. This will allow you to see how everything works, then its your turn rightaway. Don’t wait till last as this gives you too much time to work yourself up. Breathing is ideal in any situation, but never underestimate the calming effect of a few deep breaths while your guides are getting you ready to go. Remember to listen to your guides - they will talk you through everything so you can focus on you! Their job is to make you feel like you’re safe and in good hands. Whether it be a tree or the platform at the other end, it is great to focus on something out in front of you. This will keep you from looking down (or closing your eyes) and allow you to take in the spectacular view during the forest canopy tour. The harnesses, carabiners, ziplines and all of the rest of the gear we use is rated to hold huge amounts of weight. They are checked and tested regularly and your guides are highly trained professionals; safety is our main priority. Once you feel you can trust the equipment, you’ll feel much more comfortable being at heights. If all else fails, you just need to remember that you are in a safe and controlled environment. Focus on the beautiful scenery around you, and enjoy the company you are in. There are so many better things to be thinking about while out in our forest. So go on, be brave…chances are, you’ll have an amazing time!